Technical support is available to the elderly not just for climbing stairs or reading the newspaper, but now for talking on the phone as well. Phones for the elderly are tailored to the requirements of the older generation, making them easier to use. 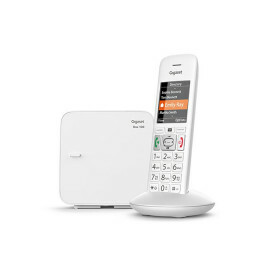 A phone for the elderly not only simplifies everyday life, it also provides reassurance for the whole family. In addition to large buttons, there are also devices that have an emergency call function. We will show you which models are available and what you should look for when making a purchase. No more mistakes due to small buttons. If a person’s sight deteriorates in age, it is often difficult to recognise the small numbers on the phone’s buttons. A phone for the elderly is a source of huge relief in this regard. It offers big keys with extra-large numbers , which are also illuminated, non-slip and have a distinct pressure point. 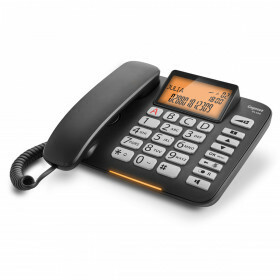 It’s not only large buttons that make it easier to use the landline phone. A clear panoramic screen with large font and clear graphics also make it suitable for elderly people to use. A senior citizen phone also ensures better readability of the content, even in poor light conditions. If the radio or TV is on, it can sometimes be difficult to hear the phone ringing. 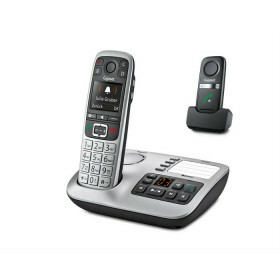 A unit with an additional "extra loud" button offers optimum convenience. The volume can be doubled simply by pushing a button, which means you can hear not just the phone, but also the person on the other end. Even elderly people who use hearing aids can rely on compatible phones. What's more, there are models that employ a visual signal to indicate when the phone is ringing. An additional hands-free clip offers a high degree of safety. Help is just the push of a button away should an emergency situation occur. The small clip, which has a long range, is simply clipped to a persons person's clothing. Models boasting additional features are also available. Some big button phones have a baby monitor mode or an integrated torch. Another useful feature offered is an answering machine. There are no missed calls or messages, even if nobody is at home or the grandparents are having their afternoon nap. Purchasing a phone for the elderly does not mean that you can’t take advantage of the latest technology. Most devices work wirelessly and connect to your Internet router. 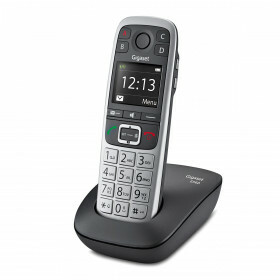 Gigaset also offers phones for the elderly with environmentally friendly ECO DECT technology. This means that radiation automatically adapts to the distance between the base and the handset and is therefore minimal.